A pretty in Pink Victorian Costume for an 1800’s woman about town. This bright costume is perfect for a historical era or steampunk party. 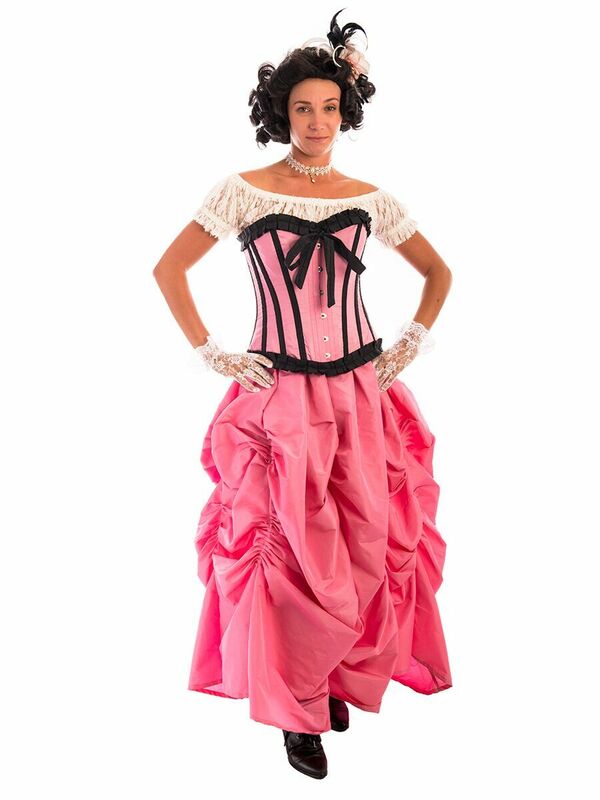 You could also be a colourful Western Saloon Girl in this traditional costume!